The all-time mid-size car stunner is the Toyota Camry. If you’re ready to commit to excellence, you can find a variety of pre-owned Toyota Camry models at Joseph Airport Toyota showroom near Huber Heights, OH. You will be protected to the max in your pre-owned Toyota Camry with many standard and available safety features. Front, rear and side airbags will take the brunt of any unfortunate impact as they’re strategically placed around the vehicle. Your Camry also comes equipped with child safety locks, traction control, and brake assist capabilities. There are many more safety features that will have you locked into 360 degrees of security when you cruise in the Camry. The top of the line tech featured in the Toyota Camry is going to blow you away. Get a glimpse of the bird’s eye view camera with perimeter scan allowing you to get views in every direction. There’s a WiFi connection in your Camry powered by Verizon so missing important emails or phone calls as you ride along is a thing of the past. Take part in remote connect which puts controlling your Camry at the touch of a button through your mobile device. The Toyota Camry Sport certainly doesn’t disappoint when it comes to power and reliability. A 2.5-liter four-cylinder engine gives 203 horsepower which packs quite the punch. This powerhouse can pull in 28 MPG in the city and a whopping 39 MPG on the highway. The Toyota Camry is front-wheel drive so it is smooth and respectful out on the road. The handling of this car has been upgraded and sits at a level above other mid-size cars of its kind. The team at Joseph Airport Toyota knows what makes the Toyota brand tick and we’d love to share our knowledge with you about the Camry. Our dealership can take care of all your vehicle needs as well including sales, service, parts and financing. We know that you, the customer, is what makes each and every day great for our dealership. Please reach out to us with any questions or if you’d like more information about the Toyota Camry. The team looks forward to working with you soon. Get a move on already and go with the pre-owned Camry from Toyota. 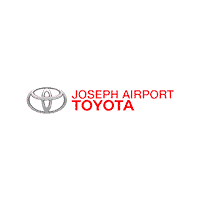 We would love to assist your car buying journey at the Joseph Airport Toyota dealership, located conveniently near Huber Heights, Ohio. Our sales professionals are here Monday through Saturday and can help out with any questions you may have or if you’d like to take a closer look at the Toyota Camry. We are grateful that you’d consider us as your Toyota dealership of choice and we look forward to exceeding your expectations. Where Will You Roam in Your New-to-You Camry? There’s no end to the fun-filled excursions when you buy one of the most reliable and trusted sedans on the market, especially when it comes backed with our YES PLAN Lifetime Warranty. And we truly mean a lifetime! 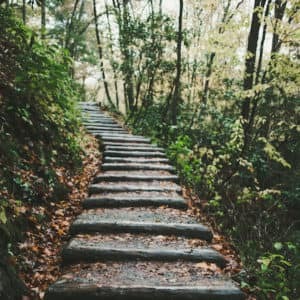 If you’re looking for places to roam inside and outside of your Camry, take a quick drive over to the Taylorsville Metropark, which is right in your own backyard. With miles of trails steeped in history, there’s no end to the fun. Load up the kids, or the pups, or both, because adventure awaits you and your Camry in Huber Heights, OH. Use the map above to plot your mischief now!